Patience, or Sabr, has many benefits, but we all know it may not always be easy to be patient. Find out how you can develop this virtue and its impact on both your worldly and spiritual productivity. 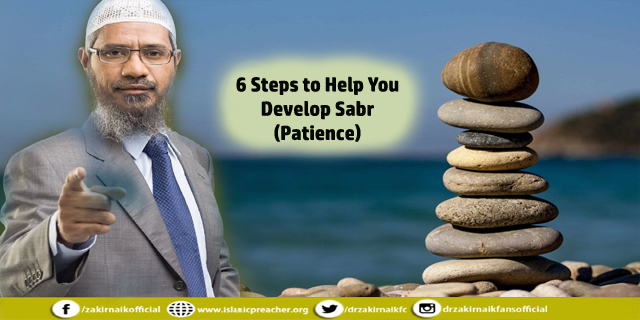 The Arabic term sabr is often translated as ‘patience’, ‘perseverance’, or ‘steadfastness’. We all know the virtues and importance of sabr – because Allah tells us in the Qur’an that He is with the patient (Surah Baqarah, verse 153); and religious lectures, books, and wise people often exhort us to this quality. We also have amazing, real-life examples of sabr – where our greatest role models bore sabr and received incredible rewards for it, both in this life and the next. Think especially of prophets Yusuf and Ayyub (peace be upon the both). Sabr has many, many benefits – but does it aid productivity? We can divide the answer into two areas: worldly life, and religious life. Consider your school or working life. Say you’ve got a big assignment to do and you really, really don’t like the work at all. Perhaps the content isn’t stimulating enough, or you believe the work is too difficult for you, or maybe you’re only doing it to help someone out – even though you don’t really want to. Many of us will make a start, but when we run into the first obstacle, the trouble begins. Our minds give us numerous excuses to ‘take a break’ from the work. We’ll find other things to do – things that are ‘more important’ – and we’ll end up leaving the assignment until the last minute (or if it’s not compulsory, we may completely forget it). Procrastination strikes even the best of us, but bearing sabr is a surefire way to break it. Sabr in your work – particularly work you don’t want to do – makes you more productive, because instead of procrastinating, you force yourself to do the work. You find ways to break the task down and ways to make the work bearable – both of which enable you to get the work done. In doing so, you also push your own limits beyond the restrictions of your mind. Other than work, applying sabr can enhance your productivity in many other areas of ‘worldly’ life: administrative tasks, cleaning or tidying up your house or room, fixing broken things, organizing your cupboards, and so much more. We know that the patient – the sabirun – will, insha Allah, acquire tremendous reward in the Hereafter because of the way they bore this life’s trials with sabr. Let’s say Hamza struggles to read Qur’an. He finds Arabic difficult to read and this obstacle makes him so disillusioned that he wants to just leave aside the recitation, and restrict it to only occasional reading. After all, why put himself through so much trouble when he doesn’t even understand what he’s reading? Isn’t it better to just read a translation of the meaning? Can’t he benefit more from that? So he patiently perseveres, deciding to read a very small amount each day – just two verses. This small, manageable, and consistent effort is a tremendous venture in Allah’s consideration and, over time, Hamza finds recitation getting easier and easier; so he increases his daily quota. Eventually, he can read so much more that he wants to deepen his Qur’anic recitation in other ways, by refining his tajweed, and starting to learn Arabic. So this small start flourished into great results, which enabled Hamza to be more and more productive in his spiritual life. The application of that sabr can be applied to any area of deen, such as seeking beneficial knowledge, improving your character, and building your eman and taqwa to greater and greater levels. In Hamza’s example, it’s obvious that his progress was due to the blessing of Allah – the barakah he gained by having sabr and striving to overcome his own personal weakness. But his progress was also down to the consistency he maintained. Just like daily exercise helps you build your strength and muscle, that little bit of Qur’an each day helped train Hamza, and the end result was the kind of strength and spiritual productivity that he never thought he’d have. There are many ways, but one which may be very effective – and follows the gradualism principle mentioned above – is to enforce ‘practice periods’. Firstly, make niyyah to become more patient in specific areas, and make dua asking Allah to grant you more patience in those areas. After all, Ali ibn Abi Talib reportedly said: “Patience means to seek Allah’s help” (Patience and Gratitude Ibn Qayyim al-Jawziyyah p.12). Next, consider an area of life you know you’re impatient in – for example, one that impedes your productivity. The next time you hit that situation, tell yourself that you’ll try to endure it with sabr for just five minutes. For those five minutes, you won’t react in those normal, negative ways. You’ll bear it with sabr, and will try to get through it in the most productive way. With regular, consistent practice over time, insha Allah it’ll get easier. And when that happens, you can incrementally raise the time of these periods – maybe to ten minutes, then twenty, and so on – until it becomes so easy and routine that sabr is your natural habit in such situations. Even those who aren’t Muslim know that ‘patience is a virtue’. But, knowing all we do about it – both in the worldly and spiritual senses – shouldn’t we be the best of those who truly live this great virtue? By doing so, we not only earn tremendous reward, but we also gain in this world via greater productivity and ultimately, greater success. Granted, it may not be easy to develop sabr but it is a virtue well worth developing. Share how you practice Sabr during trying times so that we may benefit from each other.